It's my understanding that distillation produces alcohol to a very high percentage, over 90%. Obviously this doesn't leave a lot of room for flavour compounds. And indeed a lot of white spirit, such as Vodka, is relatively flavourless. Some spirits, though, are different. Whiskey made from peated barley retains the smoke flavour of the peat fire, for instance. Perhaps the most extreme example, though, is rum. White rum has a sweetness compared to vodka which must come from the sugar base. Darker rums, like most aged spirits, gets the majority of their flavour from the barrel in which they are matured. However, tasting darker rums reveals a lot of sugar product flavours: caramel, fudge and treacle for example. Presumably these also come from the sugar base and not the barrel yet they're a lot stronger in dark rum than in light. Why is this? 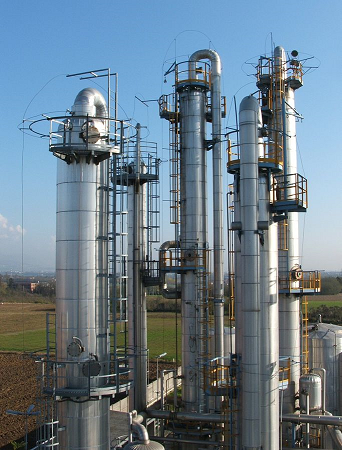 What governs the flavours that are left behind after distillation and before maturation? Presumably the temperature at which flavour compounds vaporize is key but are there other factors? Is it different for some spirits than for others - would un-matured whiskey, for example, taste much the same as vodka if not peated? I'm not very au fait with exactly how a reflux column works, but the end result is a pure flavourless liquid. Roughly the vapours travel up through a long column which contain elements that prevent all but the purest alcohol vapours to pass through. The nature of a pot still is that it is less efficient than a column, but it allows much more flavor to emerge. It is possible to make vodka on a pot still, but great care has to be made to ensure the input alcoholic liquid (the "wash") is as clean and neutral as possible, no off flavours from the yeast for example. No commercial distiller would attempt this but some home distillers make do with what they have. 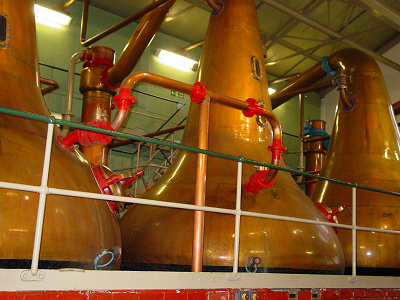 Note that even whisky, which is distilled from dark brown malt "beer", will come out of the still as clear as vodka. It derives its final color from the barrel ageing process. Re the rums, I think techniques vary but I think usually white rum is similar to dark rum but it is carbon filtered after the oak aging process is complete, which removes the colour and also presumably some flavour. Not the answer you're looking for? Browse other questions tagged spirits distillation or ask your own question. 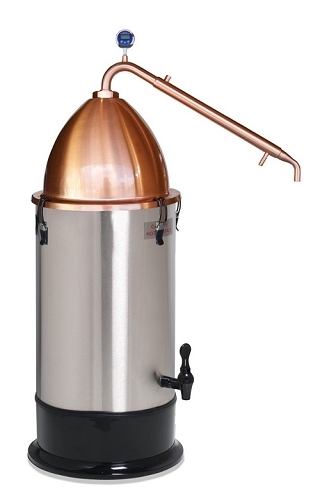 How can I make a home distillation set up, safely? How should I drink limoncello? How much Old Monk is famous in other countries?